The following site visit is offered during PICMET ’16. Seating is limited, so sign up early. The registration fee is $75 for the site visit. The time below includes travel time. The return time is approximate and will depend on traffic. Attendees will meet on Tuesday at 14:00 in the first-floor lobby of Paoakalani Tower by the main entrance, where a PICMET volunteer will guide you to the bus. Click here to register. Oceanic Institute (OI), an affiliate of Hawaii Pacific University, is a not-for-profit research and development organization dedicated to marine aquaculture, biotechnology, and coastal resource management. 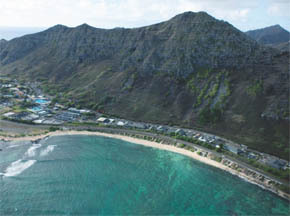 Founded in 1960, the research facility is located on a 56-acre site at Makapuu Point on the windward coast of Oahu, Hawaii, with facilities on the Big Island of Hawaii as well. A year-round tropical climate provides ideal working conditions and allows for uninterrupted research. OI’s mission is to develop and transfer economically responsible technologies to increase aquatic food production while promoting the sustainable use of ocean resources. OI works with community, industry, government and academic partners, and non-governmental organizations to benefit the state, the nation, and the world. The site visit will begin at the OI administration building followed by a walking tour to seven stations. Each station focuses on a different aspect of OI’s research (shrimp aquaculture, aquaculture of fish for food, fish for the ornamental industry, sea urchins, aquatic animal feed, etc.). Since the group will be walking outside most the time, visitors are asked to wear casual attire and shoes that can get dirty; we suggest that women avoid wearing high heels. For biosecurity reasons, visitors are asked not to visit another aquaculture facility within 72 hours prior to coming to OI for the site visit. In addition, visitors must have showered and changed clothes after coming in contact with ocean water and after handling uncooked crustaceans or other seafood prior to visiting OI. These policies are in place to protect the valuable research and breeding animals maintained by the OI. More will be explained about why these stringent policies are in place during the site visit. 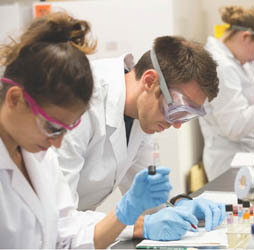 For more information about the Oceanic Institute, please visit www.oceanicinstitute.org.